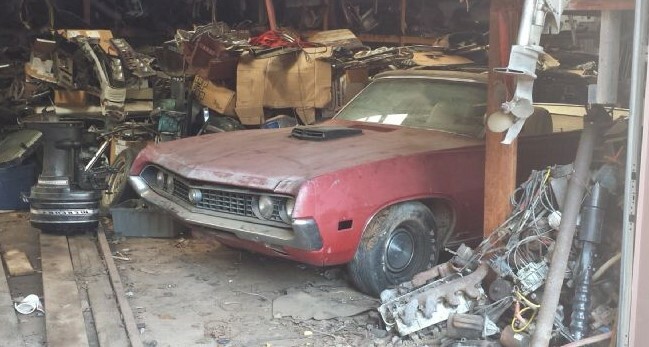 1970 Ford Torino Cobra Jet 429 convertible found in a barn! This is a real 1970 Ford Torino Cobra Jet 429 convertible and it was found in a barn, where it has been residing for 29 years. 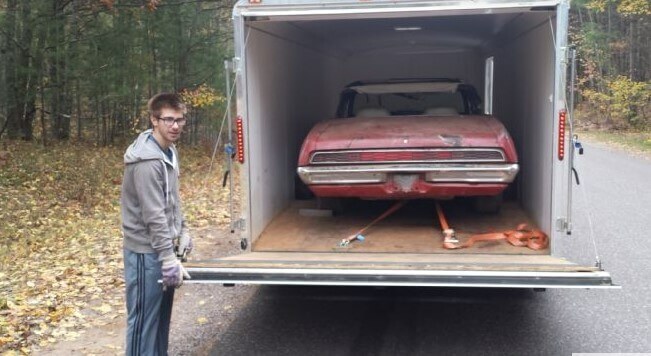 Mark Boardman, a collector of 1970-’71 Ford Torinos came across a photo of a “convertible 429 GT” for sale. He asked the vendor, David Elliott, what motor does this car have. David said that it’s a J-code car. J-code is Ford-speak for a 429 Cobra Jet with ram air. A J-code could also be a Super Cobra Jet if the Drag Pack option were present, so the story could even get better. Mark decided to go and take a look at it, but another man was also interested in this car. The asking price was $15,000. 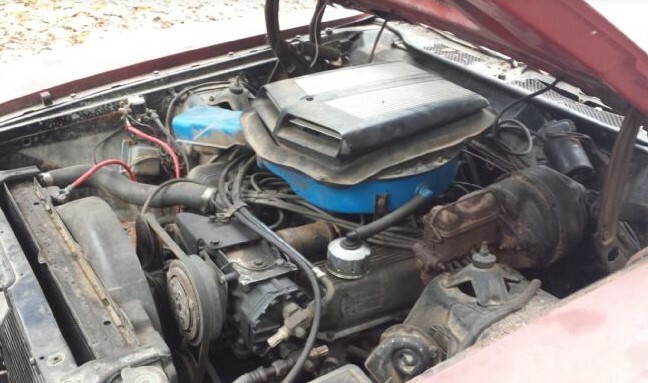 When Mark saw the Torino, he realized that it’s a very rare car and it had to be worth every penny. The shaker scoop poked through the hood, and the VIN revealed the all-important J-code for a 429 Cobra Jet with ram air. It had the factory color combination, T-code Medium Red with white interior. The car had air conditioning, power side windows, electric clock, power top with glass backlight, power steering, power front disc brakes, G78-14 belted white sidewall tires, visibility light group, complete tinted glass, AM radio, automatic transmission, bucket seats with Comfortweave, and console. According to the Marti Report, of the 429,134 Torinos Ford produced for the 1970 model year, 3,939 were convertibles, of which 64 came with the 429 Cobra Jet engine, of which 37 were automatics, of which 3 were painted Medium Red, of which 2 had White Knitted Vinyl bucket seats, of which 1 (this car) had a console. Congratulations to the lucky new owners. We can’t wait to see it restored!